KreaFast is different than anything else on the market. Creatine is the best researched and evaluated supplement on the market ever. This easy to swallow tablet have a special coating which will not be effected by the gastric acid. This is the first innovation as normal creation products Wille be partly destroyed through the acid so it will not reach the cells. The second innovation is the 2-phase-impact. In phase 1 fast absorbing creatine is used phase 2 is made out of retarded creatine which will be later reach the cell. 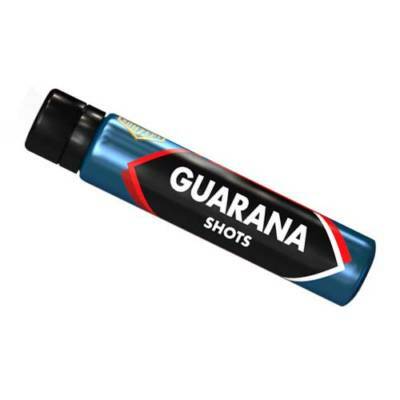 With this we can give you a permanent creatine supply. 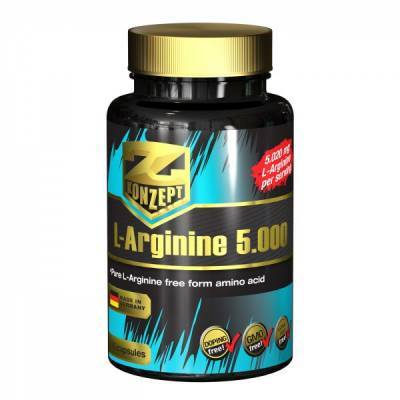 You need less creatine to give your body more impact for a longer time! 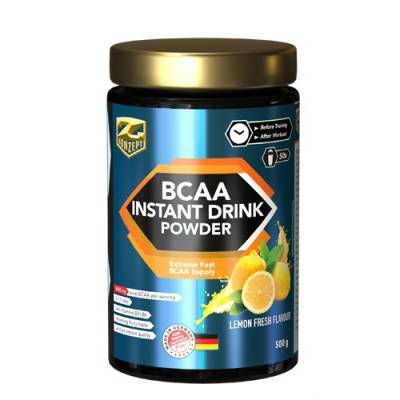 What many people do not know is that standard creatine supplements consist either out of creatine monohydrate or other creatine chemical compounds or blends of these. 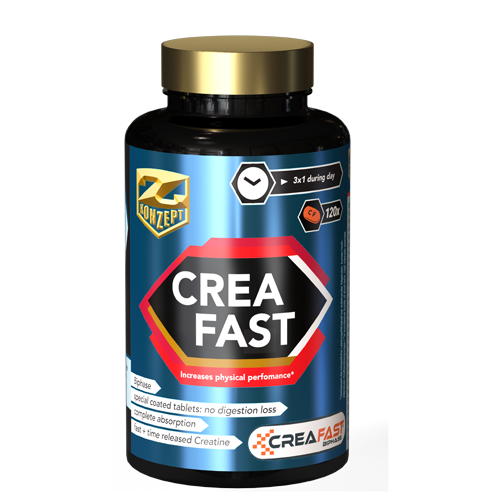 The problem is that in all these cases the total amount of creatine is absorbed quickly in one shot. 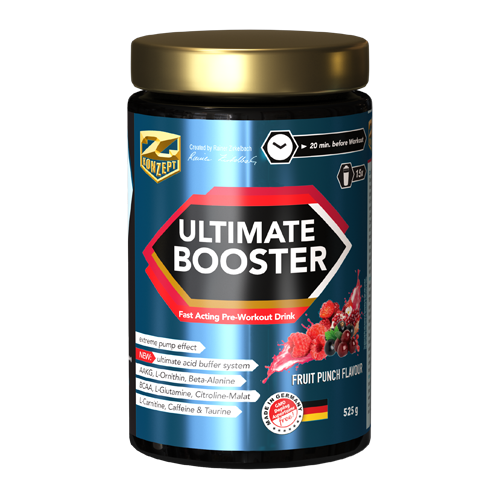 You then have a peak in the blood levels but the body can’t utilize all this once and then the excess creatine will be destroyed and the creatine level decreases afterwards. This means a higher dosage is not only useless but in addition is unhealthy. The kidneys will be stressed because they must eliminate the toxic metabolites like methylamine and formaldehyde. Creatine monohydrate, magnesium hydroxide; coating agents: pregelatinized starch, talcum, shellac, glycerol, iron (III) oxides; bulking agent: microcrystalline cellulose; anticak ing agents: stearic acid, silicon dioxide, magnesium stearate. 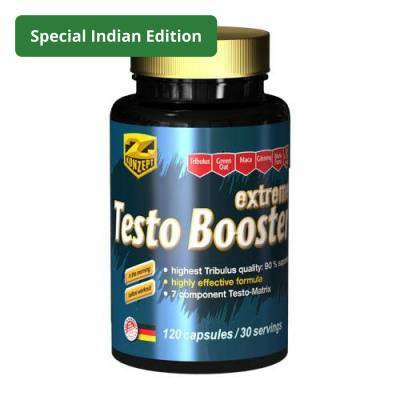 Recommended intake: Just 1 tablet, 3 times per day ensures the optimum creatine level for the whole day.